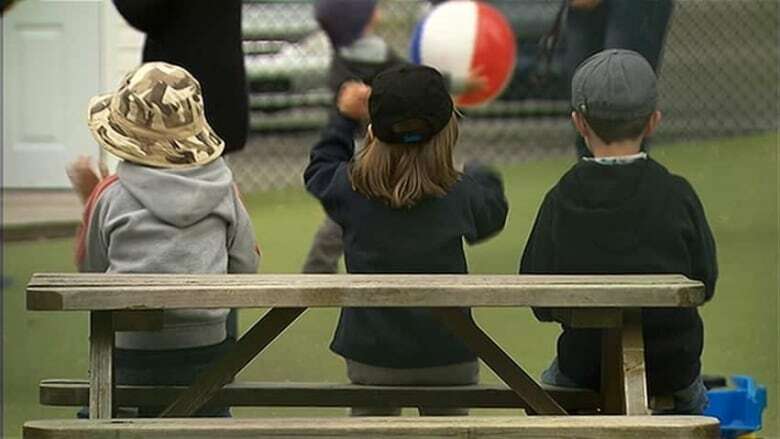 Too many middle-class families are putting too much of their income into daycare, Education and Early Childhood Development Minister Brian Kenny says. The New Brunswick government has announced millions of dollars to subsidize daycare costs for middle-income households. On Wednesday, the New Brunswick government announced millions of dollars to subsidize daycare costs for middle-income New Brunswick families. 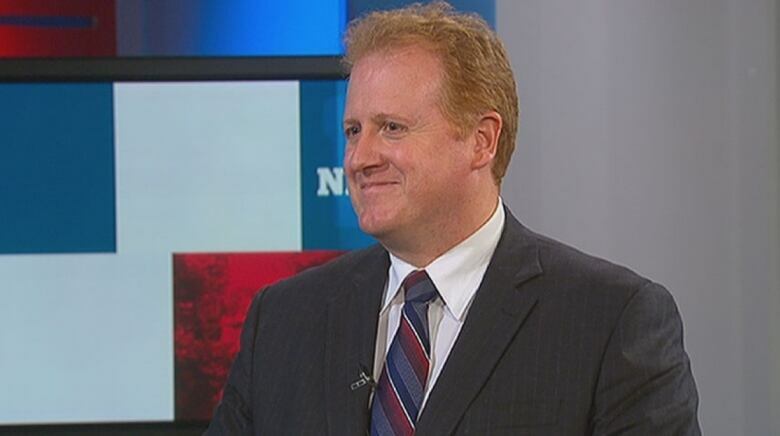 "I really do believe this is going to be transformational change for New Brunswickers," Kenny said Thursday on Information Morning Saint John. The government said the goal is to have no family pay more than 20 per cent of its income for childcare. Kenny used the example of a family with an infant and two pre-schoolers and a gross income of $90,000. Typically, the family would have to spend about a $27,000 on daycare and wouldn't receive any financial support. But with the 20 per cent guideline, the family would receive $9,300 in financial support. "This is a big, big savings for people in that scenario," Kenny said. Even families with incomes above $125,000 would get some help if they have enough children under the age of five, according to government figures. "The best investment that we can make in education and early childhood development is making sure we can have accessible daycare for all of New Brunswick families," he said on Information Morning Saint John. The Liberal government spread its plans for daycare and early learning centres over several announcements. Last week, Premier Brian Gallant announced the province would make daycare free for children who attend the yet-to-be established early learning centres and are from households with incomes below $37,500. "It's about affordability, to make sure that we can have daycare programs for parents that are either working or attending school," Kenny said. He said the average New Brunswick household income is about $75,700, and about 71 per cent of New Brunswick families have incomes under $80,000. Shawnee McConchie, who co-owns and operates Wonderland Childcare in Norton, between Hampton and Sussex, applauded the plan to help middle-income families. McConchie, who has been running the daycare for more than 15 years, said she's known many sleepless nights over having to readjust daycare rates for middle-income families who aren't seeing their pay go up. "It's those middle income families that never seem to get the additional help they need," she said. "Even if it's help of $5 a day, it's still some help." But for families to receive the subsidies, daycares will have to upgrade their services, so they can identify as early learning centres. The upgrades include working with the province to provide more spaces for infants and toddlers. The centres would have to implement inclusive practices to serve children with disabilities and diverse needs, and they would also have to have annual quality improvement plans. McConchie said she's willing to make the changes. "The idea of doing this extra work in order to raise our quality, in order to raise the inclusiveness of our centres and to help the parents we already have, it's a win-win for everyone," she said. 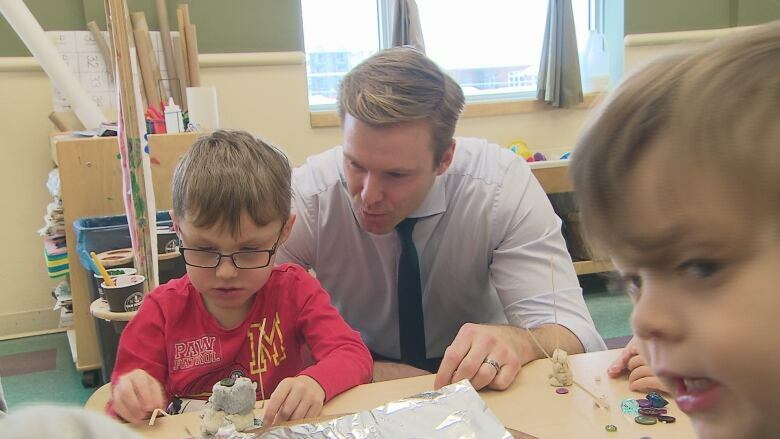 Premier Brian Gallant was in Moncton on Wednesday for the government's third daycare announcement in 10 days. She said the new centres will also need to follow the New Brunswick curriculum framework in either French or English. "The number one thing we want to do is enhance the quality and accessibility," said Kenny.